In LTE, different nodes perform different functions; infrastructure nodes act as access points, while mobile nodes can only pass data to infrastructure nodes. LTE clients cannot directly pass data to or communicate directly with another LTE client device without first talking to infrastructure (a cell site), then to a switch, and back again. LTE networks are designed with large infrastructure to maximize coverage. The towers are tall, but there are fewer of them spread across an area, which creates coverage challenges for these networks. We've all experienced weaker signals on our cell phones when driving down the backside of a hill, under a freeway overpass or even inside certain buildings. This makes LTE sufficient for delay-tolerant apps like smart metering, but it lacks the agility to support real-time IIoT platforms like machine-to-machine communications (M2M) and autonomy. LTE infrastructure does not adapt well to rapid increases in client density. A cell site has a fixed number of connections it can support, making it easy to overload the connection capacity of infrastructure. LTE infrastructure also has elaborate, static configurations that are not adaptable. A network that relies on infrastructure nodes creates points of failure; if an infrastructure node goes down, its mobile clients cannot access the network. Additionally, infrastructure and mobile nodes can only access their respective dedicated frequency, and loss of line-of-sight can create connectivity challenges. There is no real way around signal blockage or interference. This gives businesses two choices: incur downtime or invest in a second network as a backup plan—both come at a high cost, and neither one is ideal. 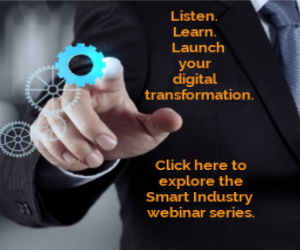 Is your enterprise IIoT-ready? Join us at the 2018 Smart Industry Conference. To expand an LTE network requires installation of large, expensive new towers. Additionally, LTE networks have static configurations and can only support a limited number of simultaneous connections. This creates issues for businesses hoping to use an LTE network as the broadband layer of their IIoT. IIoT represents an explosion of machine devices and applications at volumes that cellular networks are not yet equipped to handle. The number of connected “things” in the industrial operating environment will continue to grow, and IIoT applications like M2M will involve a huge number of devices that generate sporadic transmissions of short packets. LTE would struggle under the weight of the signaling traffic M2M will generate. In kinetic mesh, all radios (or nodes) are equal and can be interchangeably fixed or mobile; if one device can see another, it can talk to it. Data can be received by a node on one frequency and sent simultaneously in another frequency, which creates unwavering high speed, resulting in extremely low latency. The network uses all available frequencies and paths for all network functions, allowing it to support real-time, bandwidth-intensive, next-gen IIoT applications. Each node can maintain multiple simultaneous connections—none has to break for new ones to be made—via the fastest available path at the given moment. The network self-optimizes as nodes move and conditions change, reacting immediately to changes and keeping operators constantly connected to, and in control of, high-value assets on the move. If a path is blocked or interference is identified, instead of dropping connections, information is instantly redirected over the best available path(s), creating total mobility and communications agility. Multi-transceiver redundancy eliminates any single point-of-failure, and multiple radio frequencies open up redundant traffic pathways, providing true mission-critical reliability. Built-in redundancy ensures consistently high network availability to support 24/7/365 operations. Nodes can be rapidly deployed virtually anywhere, on virtually any asset, to extend or enhance operational coverage. Any expansion does not cripple connectivity; rather, kinetic mesh strengthens as it grows. Each additional node establishes new pathways for data to use, making the network more resilient as it expands, without compromising speed or performance. These qualities create a network equipped to handle both today’s demands and those of the future—one that is easily deployed and scalable to hundreds of nodes to support device-intensive IIoT environments. Todd Rigby is IIoT strategist and director of sales for Rajant Corp.